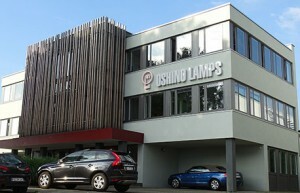 OSHINO LAMPS headquarter enlargement in Nuremberg Tennenloher Straße is now ready. After 8 months building time we moved into the enlarged (additional ca. 300m²) renovated office area. A modern office appearance, an energy saving LED illumination and energyoptimized heating systems are only few of the highlights. We are supporting the environment with triple glazed efficient thermal insulated windows, and create together with a fully automatic air exchange system for a good working environment.